LuvLap brings to you an environmental-friendly, non-toxic liquid detergent that is formulated specially to protect your baby’s tender skin. It keeps your baby’s clothes germ-free, soft, cleaner and removes the toughest of stains. 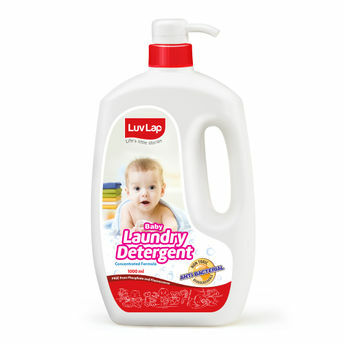 The laundry detergent is extremely mild, gentle on baby’s skin and its anti-bacterial formula keeps clothes fresh, dry and free from bacteria.